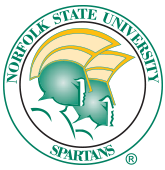 The Hornets will celebrate DSU Hall-of-Fame / Champions Weekend when Norfolk State visits Alumni Stadium. This will be the 25th meeting between the teams and 20th as members of the MEAC. Norfolk State has won the last two contests, including a 54-28 victory last season, although the Hornets lead the series 16-8.